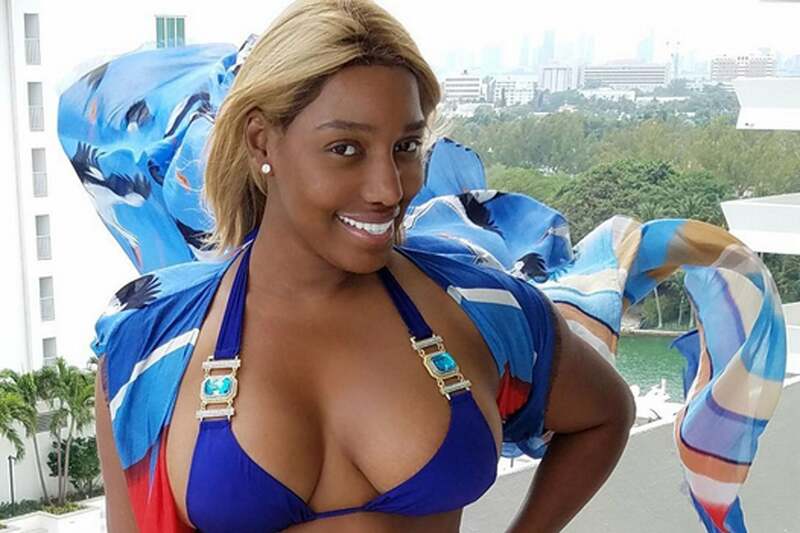 NeNe Leakes loves to show off her bod, and the Real Housewives of Atlanta alum did just that earlier this week when she opted for a bit of vacation time in a tiny, blue bikini. “Spring Break #2017 with the kiddies #lifeofnene,” the 49-year-old captioned an Instagram photo of herself posing in a jeweled blue bikini and minimal makeup. The star soon posted a follow-up shot of herself in the bikini, with her dramatic striped cover-up blowing behind her (we assume, like Beyoncé, she travels with her own wind machine). She promised to give more information on the number – from Swagg Boutique, she informs us – soon. Leakes later ditched the swimsuit and slipped into another beach-ready number: colorful pants with a white top and a long, floral, kimono-like garment. “Senior spring break! Doing it for the kiddies! Chaperone on fleek,” she wrote alongside a group photo. Leakes’ beau, Gregg, even got in on the fashion action. In one photo, Gregg sported white pants, white shoes and a blue shirt, giving a serious expression as Leakes gazed at him with her arms around his next. “Trying to talk Gregg into taking this pic … got’cha #hehatespics #lifeoftheleakes,” she wrote.